As this Gregorian year comes to a close, with various new interfaces out now, and some new ones on the horizon, I decided to recap my personal experiences with user interfaces on the desktop, and see what the future will bring. When I was younger, there were a few desktop environments floating around, and I've seen a couple of them at school or a friend's house. But the first one I had on my own personal computer, and really played around with was Windows 3. The basic idea was that you had a "start screen", where you had your various applications grouped by their general category. Within each of these "groups", you had shortcuts to the specific applications. Now certain apps like a calculator you only used in a small window, but most serious apps were only used maximized. If you wanted to switch to another running app, you either pressed the alt+tab keyboard shortcut to cycle through them, or you minimized everything, where you then saw a screen listing all the currently running applications. 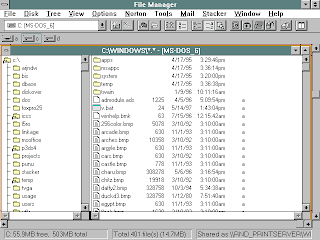 Microsoft also shipped a very nice file manager, known as "File Manager", which alone made it useful to use Windows. It was rather primitive though, and various companies released various add-ons for it to greatly enhance its abilities. I particularly loved Wiz File Manager Pro. Various companies also made add-ons for Program Manager, such as to allow nested groups, or shortcuts directly on the main screen outside of a group, or the ability to change the icons of selected groups. Microsoft would've probably built some of these add-ons in if it continued development of Program Manager. Now not everyone used Windows all the time back then, but only selectively started it up when they wanted something from it. I personally did everything in DOS unless I wanted to use a particular Windows app, such as file management or painting, or copying and pasting stuff around. Using Windows all the time could be annoying as it slowed down some DOS apps, or made some of them not start at all due to lack of memory and other issues. In the summer of 1995, Microsoft released Windows 4 to the world. It came bundled with MS-DOS 7, and provided a whole new user experience. 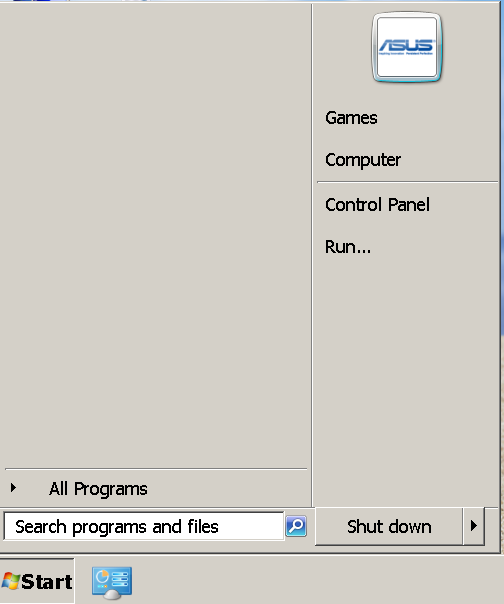 Now the back-most window, the "desktop", no longer contained a list of the running programs (in explorer.exe mode), but rather you could put your own shortcuts and groups and groups of groups there. Rather running programs would appear at the bottom of the screen in a "taskbar". The taskbar now also contained a clock, and a "start menu", to launch applications. Some always running applications which were meant to be background tasks appeared as a tiny icon next to the clock in an area known as a "tray". This was a major step forward in usability. Now, no matter which application you were currently using, you could see all the ones that were currently running on the edge of your screen. You could also easily click on one of them to switch to it. You didn't need to minimize all to see them anymore. Thanks to the start menu, you could also easily launch all your existing programs without needing to minimize all back down to Program Manager. The clock always being visible was also a nice touch. Now when this came out, I could appreciate these improvements, but at the same time, I also hated it. A lot of us were using 640x480 resolutions on 14" screens back then. Having something steal screen space was extremely annoying. Also with how little memory systems had back at the time (4 or 8 MB of RAM), you generally weren't running more than 2 or 3 applications at a time and could not really appreciate the benefits of having an always present taskbar. Some people played with taskbar auto-hide because of this. 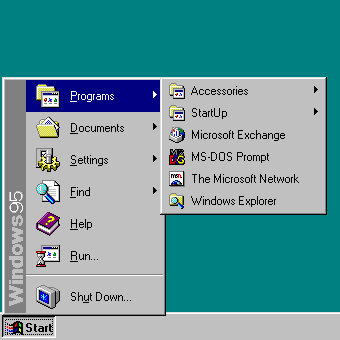 The start menu was also a tad ridiculous. Lots of clicks were needed to get anywhere. The default appearance also had too many useless things on it. Did anyone actually use help? Did most people launch things from documents? Microsoft released a nice collection of utilities called "PowerToys" which contained "TweakUI" which you could use to make things work closer to how you want. 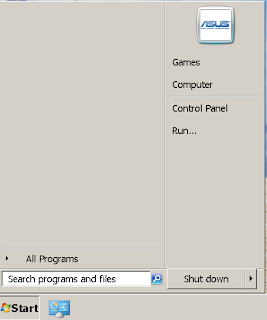 The default group programs installed to within the start menu was quite messy though. Software installers would not organize their shortcuts into the groups that Windows came with, but each installed their apps into their own unique group. Having 50 submenus pop out was rather unwieldy, and I personally organized each app after I installed it. Grouping into "System Tools", "Games", "Internet Related Applications", and so on. It was annoying to manually do all this though, as when removing an app, you had to remove its group manually. On upgrades, one would also have to readjust things each time too. 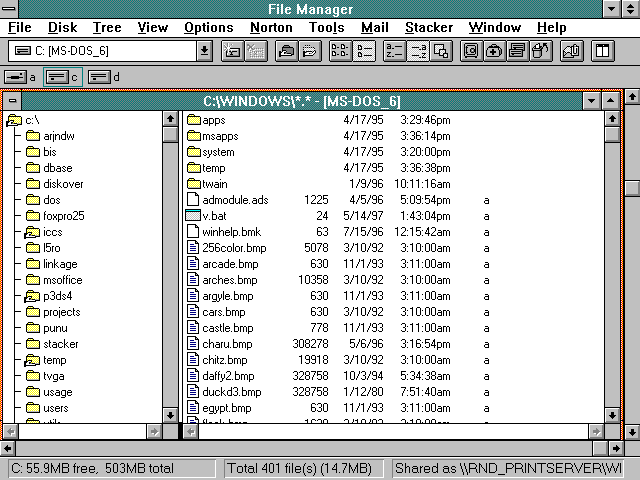 Windows 4 also came with the well known Windows Explorer file manager to replace the older one. It was across the board better than the vanilla version of File Manager that shipped with Windows 3. I personally started dual booting MS-DOS 6.22 + Windows for Workgroups 3.11 and Windows 95 (and later tri-booted with OS/2 Warp). 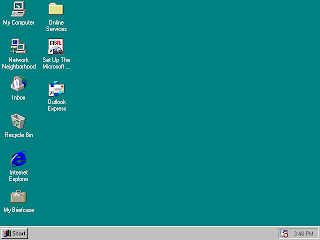 Basically I used DOS and Windows for pretty much everything, and Windows 95 for those apps that required it. Although I managed to get most apps to work with Windows 3 using Win32s. As I got a larger screen and more RAM though, I finally started to appreciate what Windows 4 offered, and started to use it almost exclusively. I still exited Windows into DOS 7 though for games that needed to use more RAM, or ran quicker that way on our dinky processors from back then. Then Windows 4.10 / Internet Explorer 4 came out which offered a couple of improvements. First was "quick launch" which allowed you to put shortcuts directly on your taskbar. You could also make more than one taskbar and put all your shortcuts on it. I personally loved this feature, I put one taskbar on top of my screen, and loaded it with shortcuts to all my common applications, and had one on the bottom for classical use. Now I only had to dive into the start menu for applications I rarely used. It also offered a feature called "active desktop" which made the background of the desktop not just an image, but a web page. I initially loved the feature, as I edited my own page, and stuck in an input line which I would use to launch a web browser to my favorite search engine at the time (which changed monthly) with my text already searched for. After a while active desktop got annoying though, as every time IE crashed, it disabled it, and you had to deal with extra error messages, and go turn it on manually. By default this new version also made every Windows Explorer window have this huge sidebar stealing your precious screen space. Thankfully though, you could turn it off. All in all though, as our CPUs got faster, RAM became cheaper, and large screens more available, this interface was simply fantastic. I stopped booting into other OSs, or exiting Windows itself. 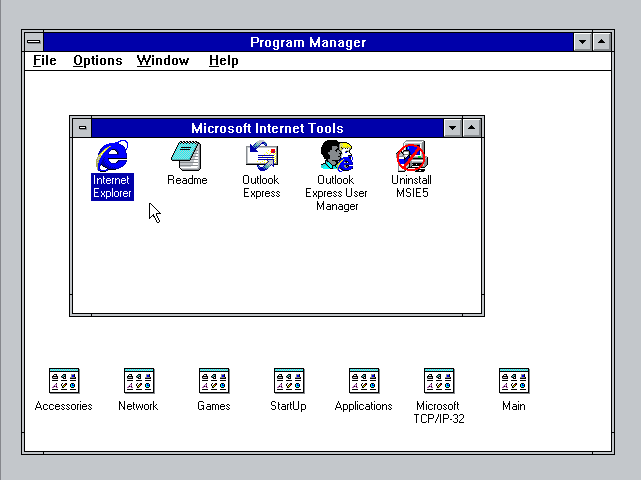 Then Windows 5 came out for consumers, and UI wise, there weren't really any significant changes. The default look used these oversized bars and buttons on each window, but one could easily turn that off. The start menu got a bit of a rearrangement to now feature your most used programs up front, and various actions got pushed off to the side. Since I already put my most used programs on my quick launch on top, this start menu was a complete waste of space. Thankfully, it could also be turned off. I still kept using Windows 98 though, as I didn't see any need for this new Windows XP, and it was just a memory hog in comparison at the time. What was more interesting to me however was that at work, all our machines ran Linux with GNOME and KDE. When I first started working there, they made me take a course on how to use Emacs, as every programmer needs a text editor. I was greatly annoyed by the thing however, where was my shift highlight with shift+delete and shift+insert or ctrl+x and ctrl+v cut and paste? Thankfully though I soon found gedit and kedit which was like edit/notepad/wordpad but for Linux. Now I personally don't use a lot of windowsy type software often. My primary usage of a desktop consists of using a text editor, calculator, file manager, console/terminal/prompt, hex editor, paint, cd/dvd burner, and web browser. Only rarely do I launch anything else. Perhaps a PDF, CHM, or DJVU reader when I need to read something. After using Linux with GNOME/KDE at work for a while, I started to bring more of my work home with me and wanted these things installed on my own personal computer. So dual booting Windows 98 + Linux was the way to go. I started trying to tweak my desktop a bit, and found that KDE was way more capable than GNOME, as were most of their similar apps that I was using. KDE basically offered me everything that I loved about Windows 98, but on steroids. KWrite/KATE was notepad/wordpad but on steroids. The syntax highlighting was absolutely superb. KCalc was a fine calc.exe replacement. Konqueror made Windows Explorer seem like a joke in comparison. This is a must have feature here. Too often are documents distributed under meaningless file names. With this, and many other small features, nothing else I've seen has even come close to Konqueror in terms of file management. Konsole was just like my handy DOS Prompt, except with tab support, and better maximizing, and copy and paste support. KHexEdit was simply better than anything I had for free on Windows. KolourPaint is mspaint.exe with support for way more image formats. K3b was also head and shoulders above Easy CD Creator or Nero Burning ROM. For Web Browsers, I was already using Mozilla anyway on Windows, and had the same option on Linux too. 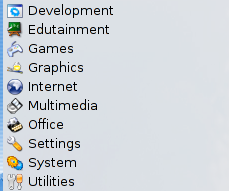 For the basic UI, not only did KDE have everything I liked about Windows, it came with an organized start menu. Which also popped out directly, instead from a "programs" submenu. The taskbar was also enhanced that I could stick various applets on it. I could stick volume control directly on it. Not a button which popped out a slider, the sliders themselves could appear on the taskbar. Now for example, I could easily adjust my microphone volume directly, without popping up or clicking on anything extra. There was an eyedropper which you could just push to find out the HTML color of anything appearing on the screen - great for web developers. Another thing which I absolutely love, I can see all my removable devices listed directly on my taskbar. If I have a disk in my drive, I see an icon for that drive appearing directly on my taskbar, and I can browse it, burn to it, eject it, whatever. With this, everything I need is basically at my finger tips. Before long I found myself using Linux/KDE all the time. On newer machines I started to dual boot Windows XP with Linux/KDE, so I could play the occasional Windows game when I wanted to, but for real work, I'd be using Linux. Then KDE 4 comes out, and basically half the stuff I loved about KDE was removed. No longer is it Windows on steroids. Now KDE 4.0 was not intended for public consumption. Somehow all the distros except for Debian seemed to miss that. Everyone wants to blame KDE for miscommunicating this, but it's quite clear 4.0 was only for developers if you watched the KDE 4 release videos. Any responsible package maintainer with a brain in their skull should've also realized that 4.0 was not ready for prime time. Yet it seems the people managing most distros are idiots that just need the "latest" version of everything, ignoring if it's better or not, or even stable. At the time, all these users were upset, and all started switching to GNOME. I don't know why anyone who truly loved the power KDE gave you would do that. If KDE 3 > GNOME 2 > KDE 4, why did people migrate to GNOME 2 when they could just not "upgrade" from KDE 3? It seems to me that people never really appreciated what KDE offers in the first place if they bothered moving to GNOME instead of keeping what was awesome. Nowadays people tell me that KDE 4 has feature parity with KDE 3, but I have no idea what they're talking about. The Konqueror info list feature that I described above still doesn't seem to exist in KDE 4. You can no longer have applets directly on your taskbar. Now I have to click a button to pop up a list of my devices, and only then can I do something with them. No way to quickly glance to see what is currently plugged in. Konsole's tabs now stretch to the full width of your screen for some pointless reason. If you want to switch between tabs with your mouse, prepare for carpal tunnel syndrome. Who thought that icons should grow if they can? It's exactly like those idiotic theoretical professors who spout that CPU usage must be maximized at all times, and therefore use algorithms that schedule things for maximum power draw, despite that in normal cases performance does not improve by using these algorithms. I'd rather pack in more data if possible, having multiple columns of information instead of just huge icons. KHexEdit has also been completely destroyed. No longer is the column count locked to hex (16). I can't imagine anyone who seriously uses a hex editor designed the new version. For some reason, KDE now also has to act like your mouse only has one button, and right click context menus vanished from all over the place. It's like the entire KDE development team got invaded by Mac and GNOME users who are too stupid to deal with anything other than a big button in the middle of the screen. If you use extra large icons for your grandparents, you also find that half of the Control Panel is now inaccessible. Ever since Bill Gates left, it seems Windows is going down the drain. But hardly are problems solely for KDE and Windows, GNOME 3 is also a major step back according to what most people tell me. Many of these users are now migrating to XFCE. If you like GNOME 2, why are you migrating to something else for? And what is it with people trying to fix what isn't broken? If you want to offer an alternate interface, great, but why break or remove the one you already have? Now a new version of Windows is coming out with a new interface being called "Metro". They should really be calling it "Retro". 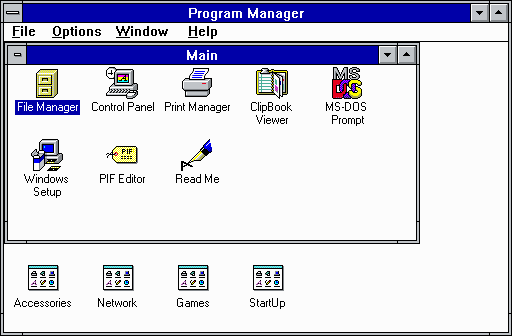 It's Windows 3 Program Manager with a bunch of those third party add-ons, with a more modern look to it. Gone is the Windows 4+ taskbar so you can see what was running, and easily switch applications via mouse. Now you'll need to press the equivalent of a minimize all to get to the actual desktop. Another type of minimize to get back to Program Manager to launch something else, or "start screen" as they're now calling it. So say goodbye to all the usability and productivity advantages Windows 4 offered us, they want to take us back to the "dark ages" of modern computing. Sure a taskbar-less interface makes sense on handheld devices with tiny screens or low resolution, but on modern 19"+ screens? The old Windows desktop+taskbar in the upcoming version of Windows is now just another app in their Metro UI. So "Metro" apps won't appear on the classic taskbar, and "classic" applications won't appear on the Metro desktop where running applications are listed. I'm amazed at how self destructive the entire market became over the last few years. I'm not even sure who to blame, but someone has to do something about it. It's nice to see that a small group of people took KDE 3.5, and are continuing to develop it, but they're rebranding everything with crosses everywhere and calling it "Trinity" desktop. Just what we need, to bring religious issues now into desktop environments. What next? The political desktop?